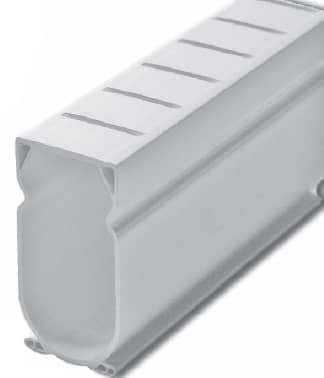 Stegmeier's Deck Drain is an extruded PVC drain that comes with connecting couplers and is designed to be set level. 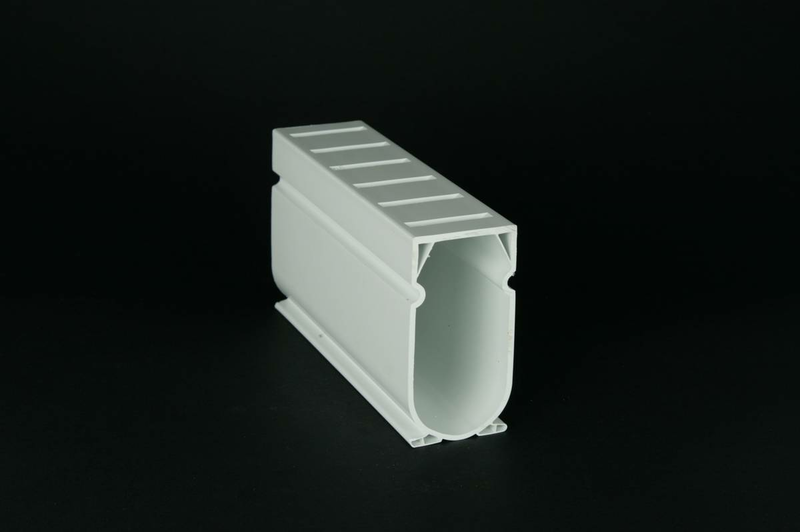 Stegmeier's LLC Deck Drain is an extruded PVC drain that comes with connecting couplers and is designed to be set level. This drain is commonly used in pool decks, patios and other pedestrian traffic areas. Deck Drain is easy to install by staking on grade (no trenching required) and has a full .100” thickness top for durability. Original drain lengths are 10', but due to high freight cost, drains are cut in half to allow UPS shipping. 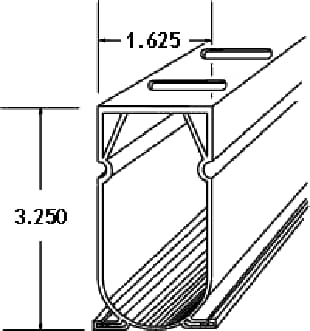 Optionally 10' lengths can be purchased and shipped, which will require separate shipping estimate.